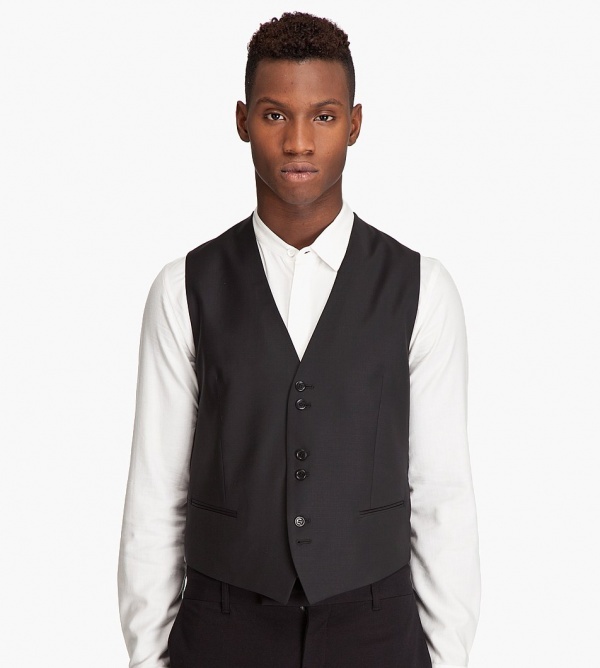 Step up your look with this Ed vest from Bill Tornade. The sleeveless wool vest in black features tonal rayon contrast at the back. Featuring six buttons at the front, bound pocket detail at the hips, and cinch belt detail at the back waist, the fully lined piece is available online now at a discount.. This entry was posted in Uncategorized and tagged Bill Tornade. Bookmark the permalink.